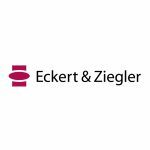 Eckert & Ziegler Radiopharma GmbH, a subsidiary of Eckert & Ziegler Strahlen- und Medizintechnik AG (ISIN DE 0005659700), signed a supply contract for components for a manufacturing line today, paving the way for the creation of additional capacities for its approved GalliaPharm® Germanium-68/Gallium-68 generator. Following the approval of the NETSPOT® kit (tumor diagnostic agent) in the USA and SOMAKIT TOC® within the EU, demand for pharmaceutical generators has significantly increased. “The capacity expansion is part of a more broadly based investment program. We are not only enhancing our production capacity but also focusing particularly on ensuring availability of the currently limited active substance. This way, supply of diagnostic agents for patients and the increasing number of clinical trials using Ga-68-based tracers is guaranteed. In addition, we are expanding our capacities to take back expired generators and transfer them towards duly disposal procedures”, explained Dr. André Heß, Executive Board member at Eckert & Ziegler AG with responsibility for the Radiopharma segment. The investment is linked to a strengthened strategic focus on theranostic applications. The related products, primarily based on Gallium-68, Yttrium-90 and Lutetium-177 are used for diagnostic and therapeutic purposes of various conditions. Intensifying development of radiopharmaceutical formulations, test batch production of radiopharmaceuticals for clinical trials and initiating cooperation with young, aspiring pharmaceutical companies are additional intentions in the near future. Eckert & Ziegler Strahlen- und Medizintechnik AG (ISIN DE0005659700) employs around 610 people and is one of the world’s largest providers of isotope technology components for radiation therapy and nuclear medicine. Note: The press release has been copied from www.ezag.com.